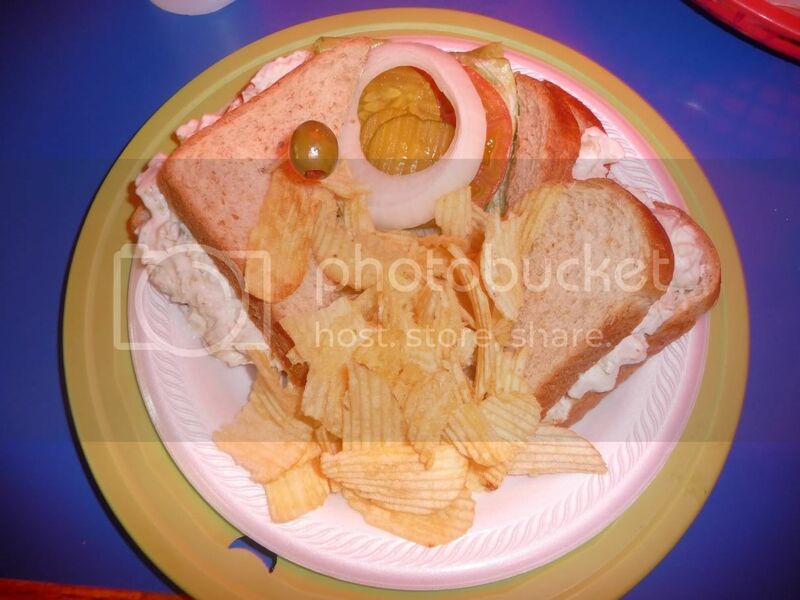 On a rare visit to east Texas a while back, I found myself starving for that precious cuisine that inspired me to start this website.... the mom and pop burger. 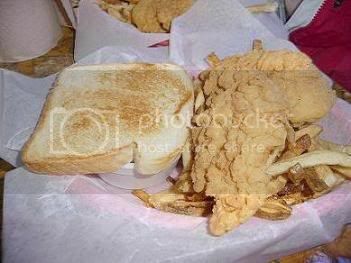 A colleague of mine knew that I was going to be in the vicinity of her hometown in Lufkin and strongly encouraged me to try out Ray's Drive In. I had also received eight emails from readers encouraging the same. 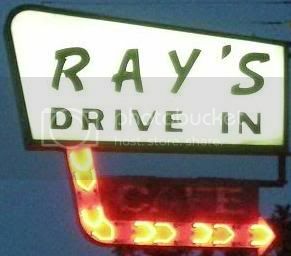 When I drove by Ray's, I was immediately impressed by the drive in. 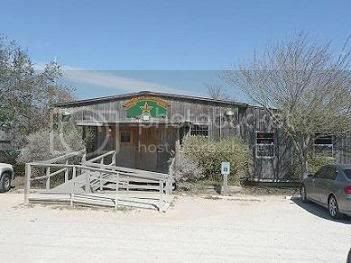 You don't see many drive ins like this that don't have a Sonic sign out front. And Ray's was a busy drive in too... another good sign. Immediately upon walking inside Ray's I was greated with another good sign... lots of locals seated in very plain - non-flairy booths. It was late in the day and I was starving for a good greasy burger. Would Ray's deliver or fall flat? Would I be glad I ate here instead of grabbing a cardboard burger at Micky D's? There was only way to find out... order up!! 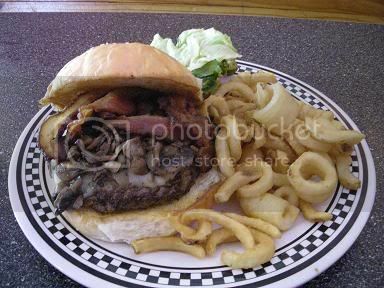 Having reviewed 29 burger joints now and having eaten at way more than that... 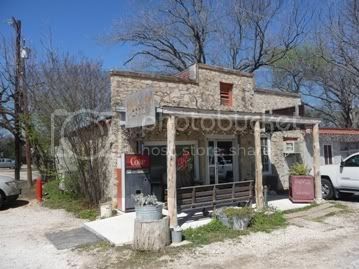 I'm discovering that another litmus test that can be applied to determine if a burger joint will be good or not is if they are utilizing a huge wall size Coke or Dr Pepper menu with the snap in letters/numbers. Seems like everytime a place is using one of those things their burgers turn out awesome. Ray's uses one of these style menus. 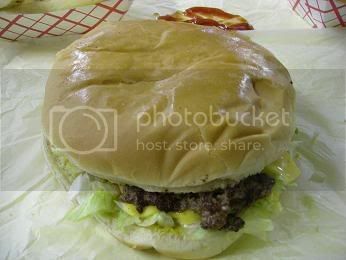 After wading through the long list of items, I decided to stick with the cheeseburger for this review. As usual, I ordered the onion rings and fries to get a taste of both for the review. After placing my order with the waitress and paying at the counter, I took my paper number and gazed around the dining area of Ray's to find a seat. As I settled into my yellow booth, I noticed several locals that walked in and ordered the usual. This sight only added to my anticipation of eating my very own Ray's Cheeseburger. A few minutes later and the highly anticipated moment had finally arrived... they called my number. 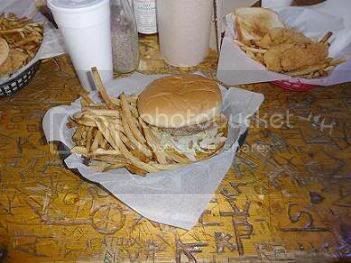 As I walked up to the counter to retrieve my little red plastic tray carrying the food I so longed for, I couldn't help but wonder if I had just met the burger that would dethrone the Boondock's monster as my number 1 burger of all time. 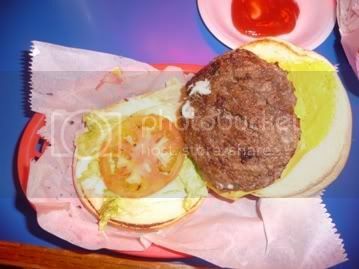 At first glance, I could tell the Ray's Cheeseburger would rank high in the Oooze Factor category. 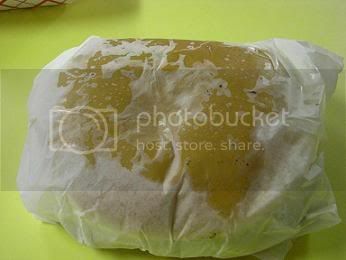 The white paper they had wrapped it with was turning transparent from all of the oooze seaping through the paper. Thinking it odd for me to tear into a wrapped burger, I controlled myself long enough to unwrap the burger and take a look at this beauty. Much to my pleasure, the burger was ooozier than I expected. My first bite confirmed what my eyes were telling me... this was one ooozy burger. Overall - a good healthy oooze factor score. This burger wouldn't exactly strike fear in the heart of a cow. I have had plenty of average size burgers that were awesome. Ray's was good, but it wasn't the best one I had before. The seasoning on the burger was a little heavy with pepper for my taste. It may have just been an overzealous pepper shaker in the kitchen that did it, but pepper was a little too dominant a flavor for my taste. The mustard and vegetables on the burger definitely created a very good flavor. I just wish they had added a little more meat and had seasoned it differently. 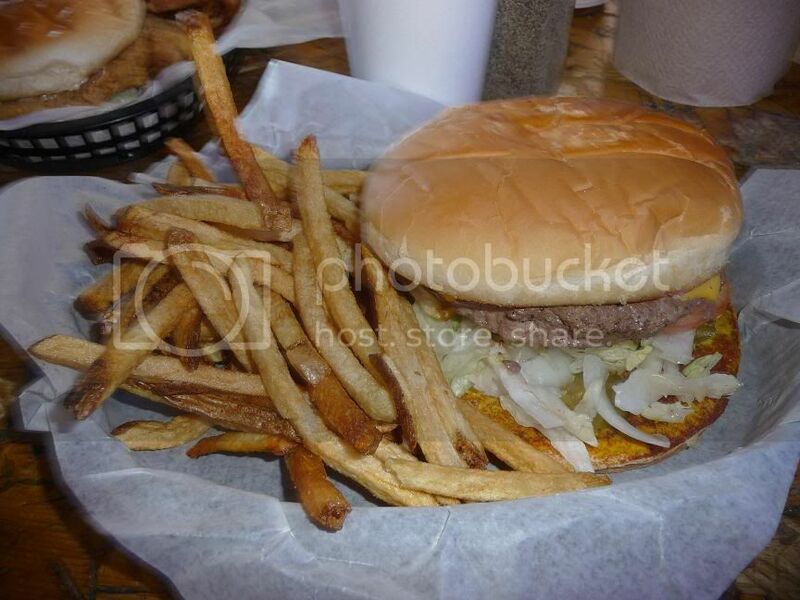 While not huge, the Ray's burger is not to be eaten with just one hand. They put this burger in front of you with a good size bun as well. You can try one hand but you'd get it all over you... better to use at least one and a half hands. I didn't feel ripped off at Ray's. 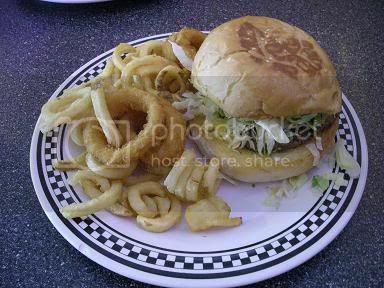 I went in there with an appetite and left with a full belly for reasonable amount for fries, onion rings, drink and 1/2 pound burger. I was very sastisfied with the value. While I didn't make a call to my attorney to make sure my will was updated, I did feel like eating one of these burgers every week would chop a few months off my life. The oooze alone was enough to make me worry... but I'm not losing sleep. Overall - I was happy with my visit at Ray's. The food was really good... the atmosphere was awesome and the side items were great. I probably enjoyed the atmosphere more than anything else. You really don't see the old fashioned drive ins being used very much. It was a pleasant departure from the usual format. 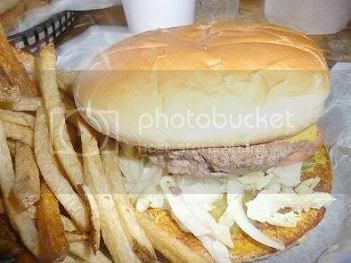 My recommendation is if you are in Lufkin and looking for a good burger that will fill your belly and make you glad you stopped in... go to Ray's. You'll be glad you did. Not to focus on it too much, but the thing that makes Ray's unique is the atmosphere. When the waitresses are splitting duties between helping people inside the restaurant and the people parked in the stalls... well that's just cool. The huge menu that greats you is a welcome site. If I had the opportunity, I'd try some of the specialty burgers listed on the menu. There was a Ray's special which you know is good. The other menu items I tried... the onion rings and the fries were both very good. 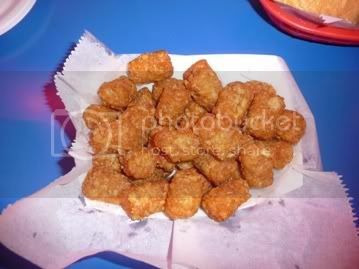 The onion rings were the dry - fried variety versus the soft and greasy type. They were good but I prefer the soft and chewy ones. The fries were natural cut which was great. Good flavor on both items. 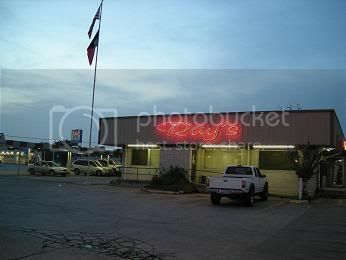 Without question, the lasting memory I'll have of Ray's is the atmosphere... both inside and out. Inside you'll find lots of the classic style booths. In addition to the many booths, there are several tables. This place has to be a place that locals hang out in the morning to solve all the world's problems. It has a cozy feel to it. It was obvious that Ray's had been in this place for a long time and judging from the amount of business... it didn't look like they were going anywhere for a time to come. The waitstaff was very helpful and polite. I think I freaked out one of the waitresses when I took my pictures for the review. Sorry! 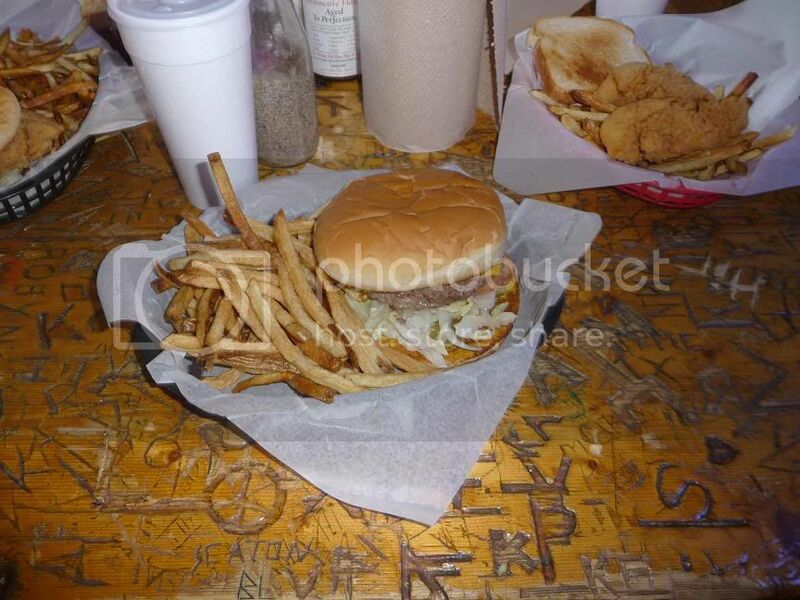 Ray's is located just off Highway 59... or North Timberland if you are a Lufkinite. Ray's provided a great dining experience. There are always things that I would change pretty much everywhere I go... Ray's is no exception. I'd move Ray's closer to Houston so I could eat there more. It's a good place with a long history. 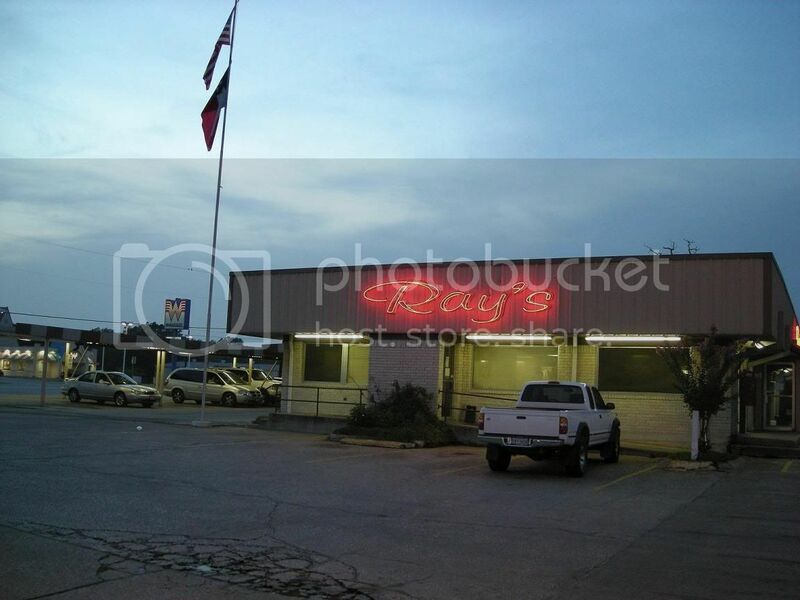 If you are ever in Lufkin - stop in and give Ray's a try. Recently, I found myself in Corpus Christi on business. As I was checking into my hotel, my stomach started speaking to me. I glanced over to a rack of brochures. There, sitting on the rack was a brochure for a local mom and pop burger joint named Wallbangers. The name intrigued me and the pictures on this brochure intrigued me as well. It seemed like a good find but I wanted confirmation. I checked with a friend of mine who grew up in Corpus and he concurred. The hotel concierge also concurred. Wallbangers is a well known producer of big nasty burgers. That was it - my mission had been changed from visiting the original Whataburger (Corpus is where Whataburger was started) to visiting Wallbangers. 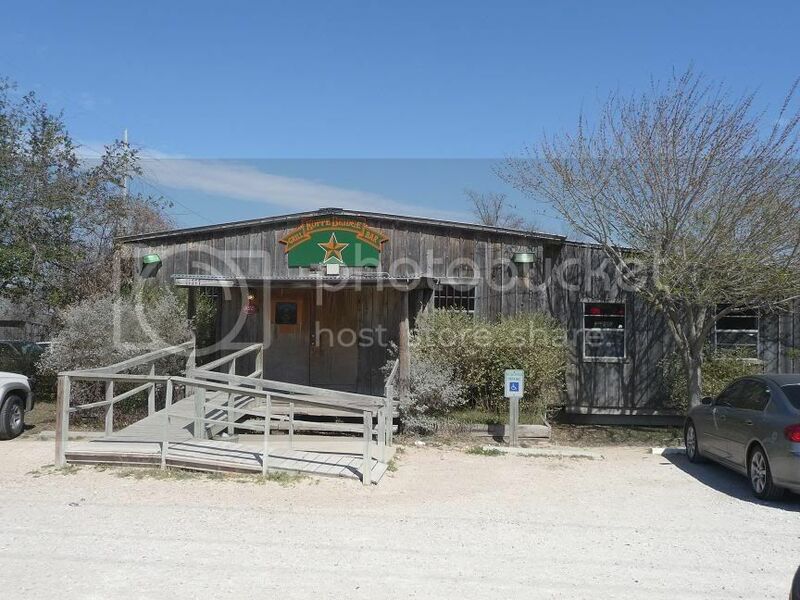 In just a few short hours I wanted to find myself seated in the Wallbangers restaurant chowing down on some Corpus Christi bovine. It wasn't long after this that turned into the parking lot of Wallbangers. Nestled at the end of a strip center... Wallbangers was unusually busy for my 2:30 pm arrival. It was simple on the outside. Good sign. It was busy. 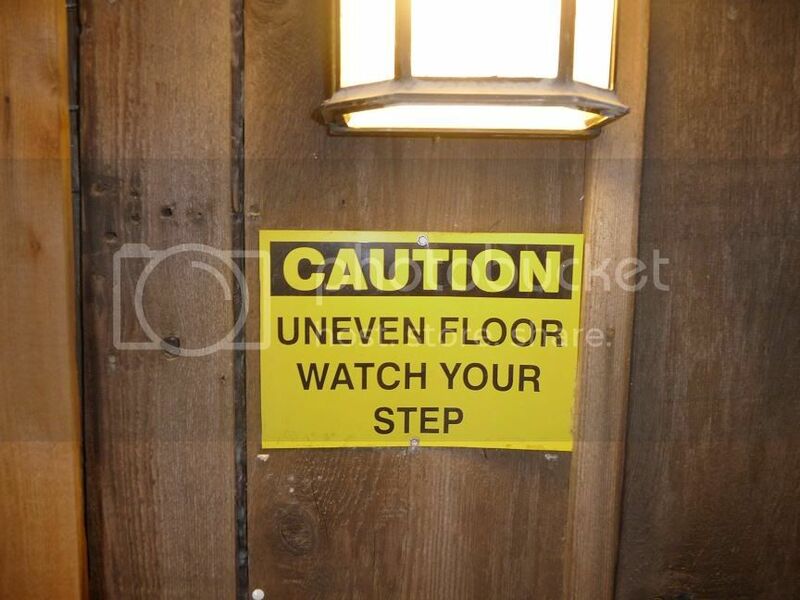 Another good sign. It was recommended by the locals. Yet another good sign. Things were looking good but there is only one way to find out if Wallbangers is worthy of a good TBG review or if will go down as just another burger place.... let's eat!!! As I gazed upon the wall size Wallbangers menu, I quickly noticed how "custom burger" seemed to be the theme of this place. It smelled to me like a Fuddrucker's copy. One look to my left where I discovered the place where you dress up your burger (ala Fuddruckers) and I had cracked the code on this place. 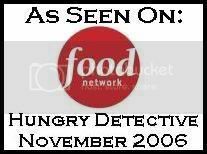 It was a Fuddruckers model. Now don't get me wrong - I LOVE Fuddruckers but Fuddruckers model works for Fuddruckers. I have been to 4 other burger joints that have desperately tried to perfect the Fuddrucker's experience but have sadly and in some cases WAY WAY missed the mark. Nevertheless - this was a new day and a new burger joint. I remained hopeful - although skeptical at the outcome of this experience. I loved the way the menu was laid out. You select your patty, how you want it cooked, your cheese, your sauce, and any add ons like bacon, mushrooms and jalapenos. It was all I could do to stick to ordering the standard TBG Cheeseburger for my review. My coworker ordered one of the "Stuffed Burger"... more on that later. 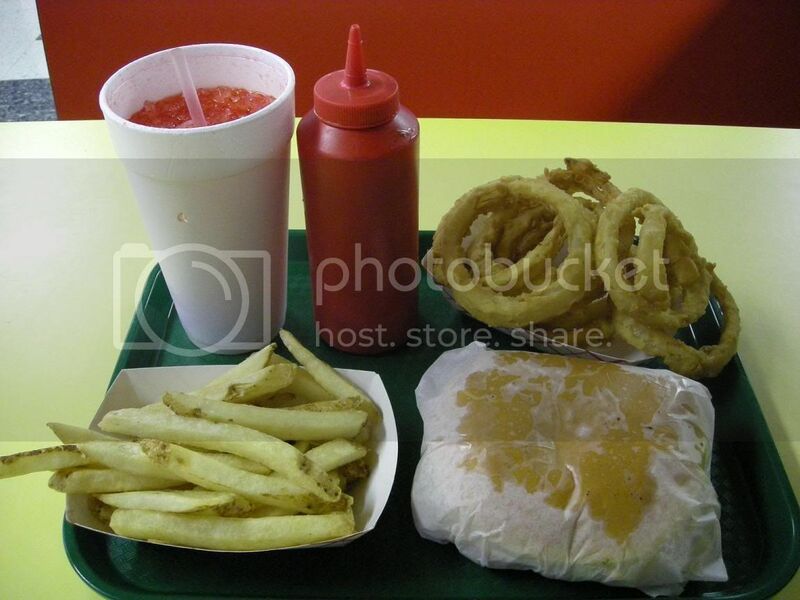 I ordered onion rings and fries as well. Have to try it all out. 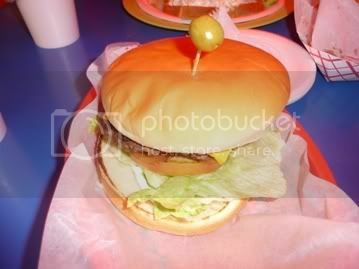 After a brief wait, my number was called and I made my way to the fixins bar where I dressed my burger up just the way I like it. Upon returning to my seat I looked at my coworkers burger and felt "Outwhataburgered". Man that thing was awesome looking. My burger didn't look all that shabby either. But... looks aren't everything... how would it rate??? 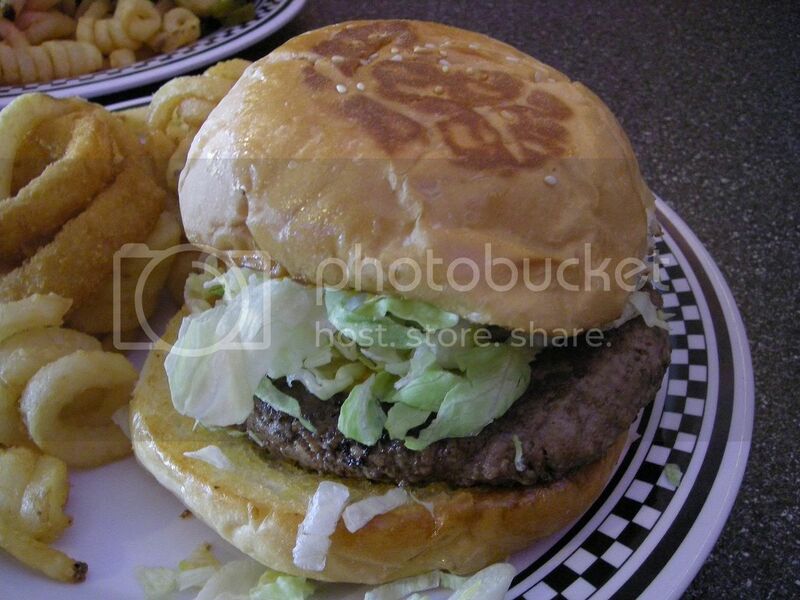 Hidden underneath this monster homemade bun was the main course... my patty. It definitely had the shine going on from the oooze in it. I have seen many shiny burgers that ended up being dry inside the patty. This one turned out to be pretty good. I didn't have anything running down my arm - just an excess of trimmings I piled on the burger by mistake. Overall - about average oooze. 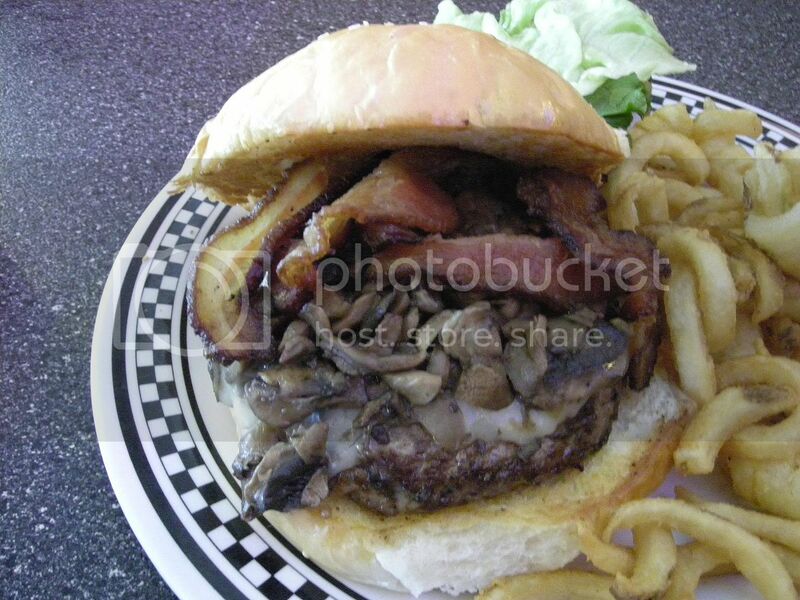 This burger would strike fear in many a cow's heart. It was nice and big. I knew I would have trouble getting it all in my stomach. The big question mark for me was would it have good flavor. 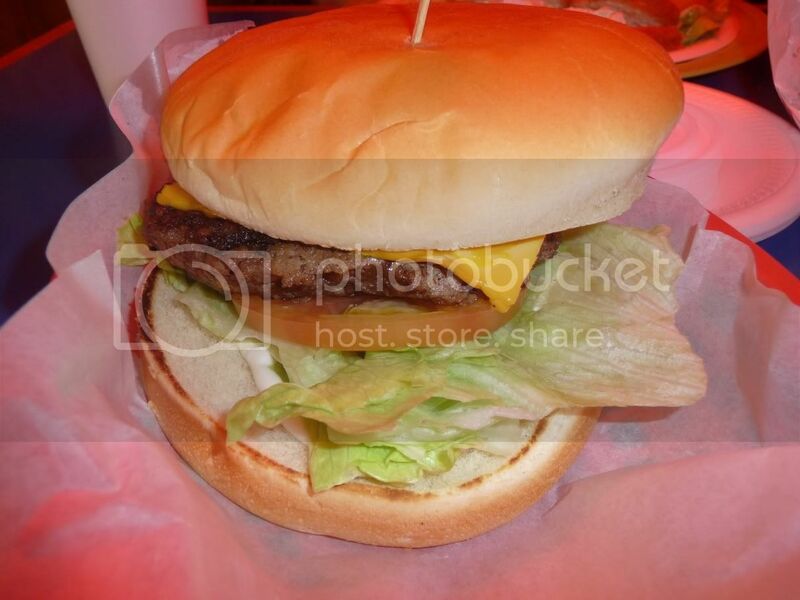 After my experience at Arnold Burger in Amarillo - I am very aware that the bigger the patty - the more seasoning is needed to avoid a tasteless burger. Well - they didn't quite hit the mark as the patty was so big - it just didn't have a lot of flavor to it. The trimmings made up for some of it - but you can't really replace that sought after meat flavor. It was big - but just not as tasty as I like em. Hands down a two handed burger. The patty itself should have its own Handling rating of 10 or 11. Given the amount of food you get complete with unlimited refills on your drink, I paid a good rice (don't have exact amount) for my burger. 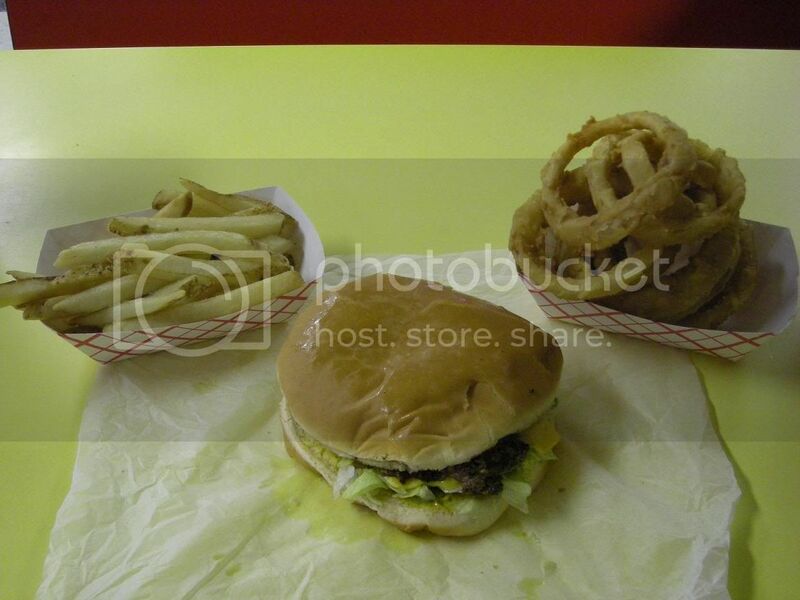 It was around 6 bucks for the burger combo. I wasn't too alarmed at the price. Maybe not my burger - but my coworkers burger would receive a high Gravedigger rating. My burger was big and mean - just not as scary as some others that I have had. Maybe its me - but a Fuddruckers burger just doesn't scare me any which is what this burger reminded me of. Overall - it was OK. 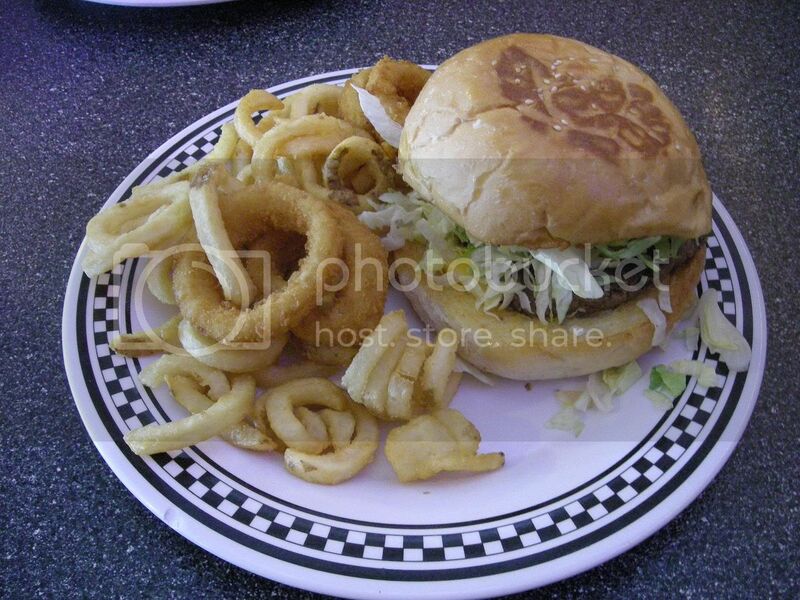 I enjoyed the burger and the side items. I enjoyed the atmosphere more than the food I think. The Fuddruckers model works good for Fuddruckers. The burger was good - but not great. 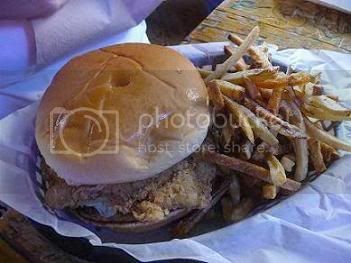 If you are in Corpus and have a hankerin' for a good homestyle burger - Wallbangers is a safe bet... just don't expect too much. In a town known as the home of Whataburger, Wallbangers delivered an enjoyable experience. The inside of Wallbangers is cozy. They have high backed wooden booths around the perimeter and tables in the middle of the restaurant. Lots of tables. They also have video games which would make this a cool place to hang out if I had the time... All in all - the name Wallbangers is creative. The menu was creative. The atmosphere was just right. My only complaint was the burger was just so so and the Fuddruckers model that they were following. Besides that - its a great place. The staff was nice and extremely helpful. Great atmosphere! Exit Staples Drive off South Padre Island Drive. Go south on Staples. Wallbangers provided a good dining experience. I would have liked more flavor from my burger but I did get melted cheddar cheese with my onion rings so it wasn't a total loss! 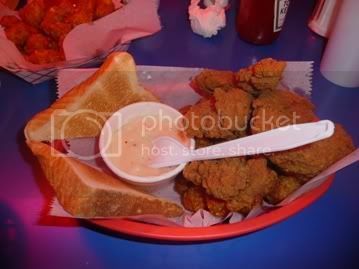 If I am ever back in Corpus I'll probably look for another place to try.